"He's everything you've ever wanted in a monster!" 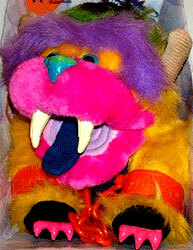 My Pet Monster was produced by American Greetings in 1986 and were one of the few plush toys to be marketed towards boys. 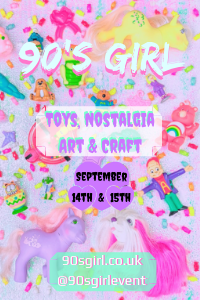 There was also a short lived animation series and a live action film, as well as other accessories such as books and puzzles. 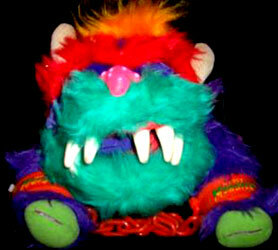 Each plush toy was highly coloured and came with chained handcuffs which could be 'broken' in a show of strength! 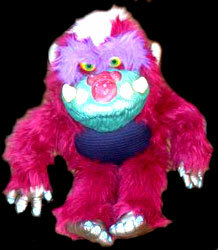 A talking My Pet Monster was re-designed and re-released by Toymax in 2001. 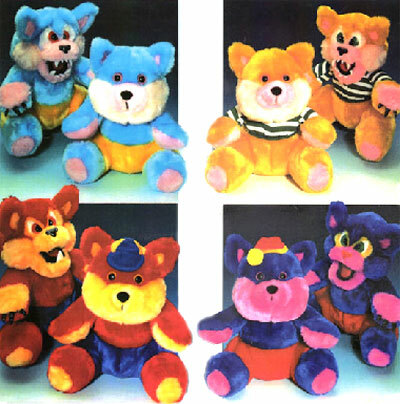 Images on this page were found on eBay , with thanks to various sellers! 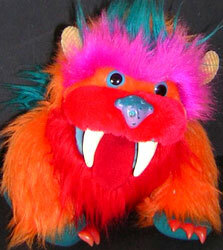 QUICK LINKS> Find My Pet Monster on eBay.com , eBay.co.uk , Amazon.com or Amazon.co.uk ! 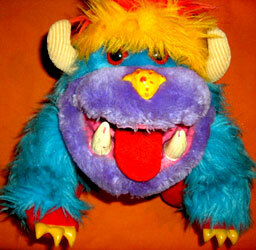 There were two main characters produced as large plush toys simply named "My Pet Monster" and "My Football Monster". 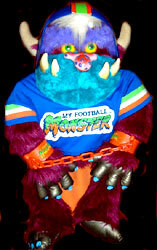 They both came with chained handcuffs and My Football Monster also came with a t-shirt an American football helmet. 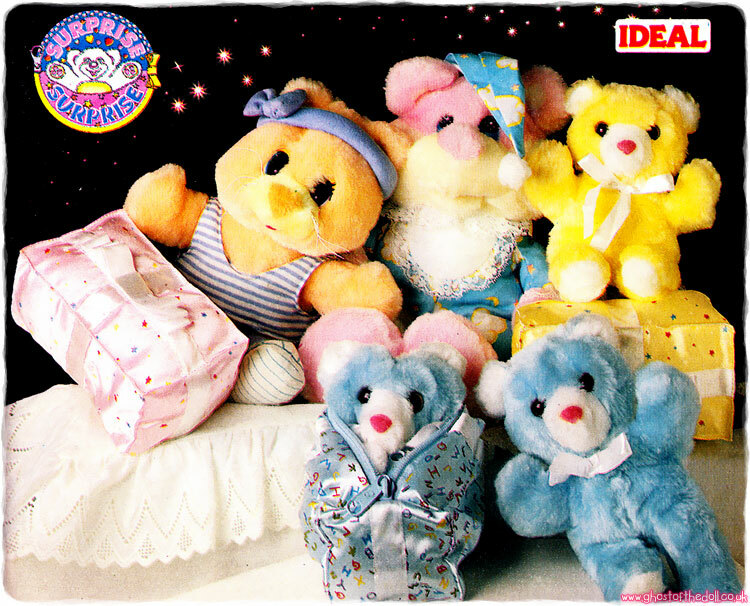 They were produced in three sizes which were about 16 inches, 20 inches and 26 inches. 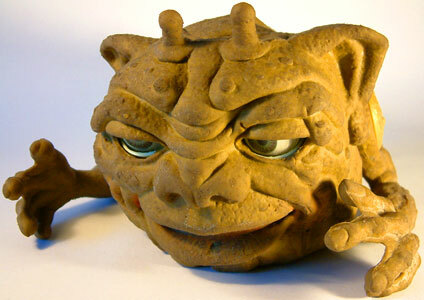 I don't think My Football Monster was produced at 20 inches though. 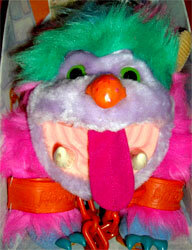 The 16 inch toys differed slightly in design as they had plastic rather than furry mouths. 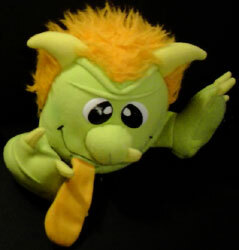 I have also found a third unknown character produced as a 16 inch toy. 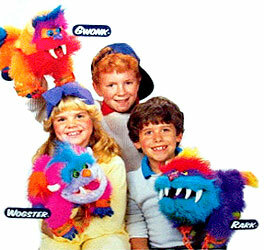 Beastur was My Pet Monster's enemy. "Fiercely friendly and devoted to you!" I have so far found five My Monster Pets. There appear to have been three released originally with at least two more being added as the line grew. They were about 10 inched high and each came with chained handcuffs and were designed to be puppets with moveable, chomping mouths. 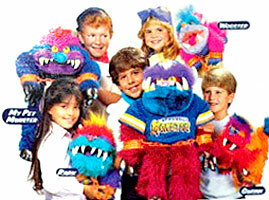 Each one was also advertised as coming with a "Monster Family Poster" inside (see top of page description for image).